SUMMER IS ALMOST COMING TO AN END! WHERE HAS THE TIME GONE? WELL, WE STILL HAVE A FEW MORE WEEKS LEFT, SO WANTED TO SHARE SOME OF MY SUMMER FAVORITES BEFORE WE OFFICIALLY TRANSITION INTO FALL. GOING TO THE BEACH IN CALIFORNIA IS A MUST! THE TULUM ROUNDIE HAS REALLY COME IN HANDY FOR MY BEACH DAYS. I LOVE THE UNIQUE ROUND SHAPE RATHER THAN A RECTANGLE TOWEL AND THE FRINGES -- TO DIE FOR! 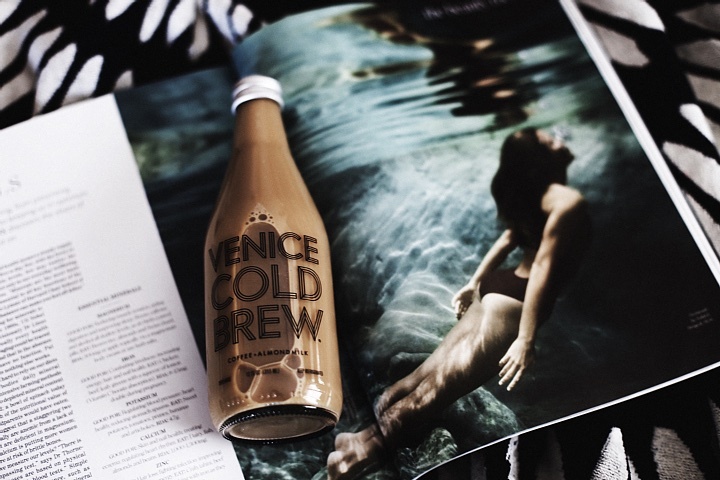 COFFEE IS ONE OF MY FAVORITE THINGS TO DRINK AND AN ICED COLD BOTTLE LATTE WITH ALMOND MILK IS JUST THE CHERRY ON TOP! MY FAVORITE GO TO SUNSCREENS ARE FROM DR. JART. I LOVE THIS ONE BECAUSE THE OPAL PEARL IN THE SUNSCREEN GIVES ME ILLUMINATING SKIN ON THE HIGH POINTS OF MY FACE WHILE STILL PROTECTING I NEED. A FABULOUS PAIR OF WHITE SANDALES IS A MUST FOR THE SUMMER! I ESPECIALLY LOVE THE FANFOLD DETAILS ON THESE. PLUS, THE FACT THAT THEY ARE MULES MEANS NO HASSLE WHEN PUTTING THEM ON AND TAKING THEM OFF -- BONUS!